With his bestselling book, What's Stopping You, Robert Kelsey helped thousands of people conquer their fear of failure and unlock their full potential in life. Now Robert is applying his unique approach to the subject of confidence. According to Robert, it's not something that can simply be injected into us through motivational exercises and positive thinking. What's Stopping You...Being More Confident? 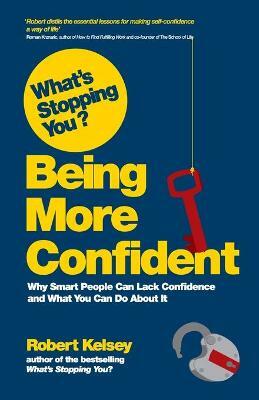 highlights the key reasons why you might be lacking confidence in the first place, what causes self-doubt or makes you feel less able than others. Then we are shown how to turn this around, by examining the traits that make someone confident. "Everyone has moments of doubt - this practical and persoanl book can help remove those demons and boost morale. I recommend it strongly"
Luke Johnson, RSA Chairman, Financial Times columnist and author of Start It Up! "This combination of searing honesty and genuine curiosity about how our lives are shaped makes for compelling reading"
"An invaluable resource for anyone lacking confidence"